Dream Pod 9: Feedback Friday March 29th 2019 - HGB Rules 3.0 ALPHA v1.5 Update! We are now into the home stretch for the HGB Rules 3.0 ALPHA, with a goo﻿d se﻿t of workin﻿g rul﻿﻿﻿﻿﻿es now. This week we got the new player chapter added to assist players learning the rules over several games. Plus we added some variants with Light Particle Accelerators (LPA) to the upcoming Peace River Harrier and the NuCoal Chasseur MK2, giving both factions some much needed Haywire attack options. And we tweaked a few more rules for game balance. Now its onto the fun part of faction sub-lists forces, join the discussion on game flavor and balance. You can checkout the full "HGB Rules 3.0 ALPHA v1.5 Update" post with links to download the updated Alpha Rules word file and other excel files on the DP9 Forum at the link below, login and join the discussion. We also have a bonus preview of new model﻿s ﻿and varian﻿t parts soon to be available. Our 3d Modeller, Tony, took the time to reworked and improve the Spearhead Hunter head that we previewed in an earlier post. 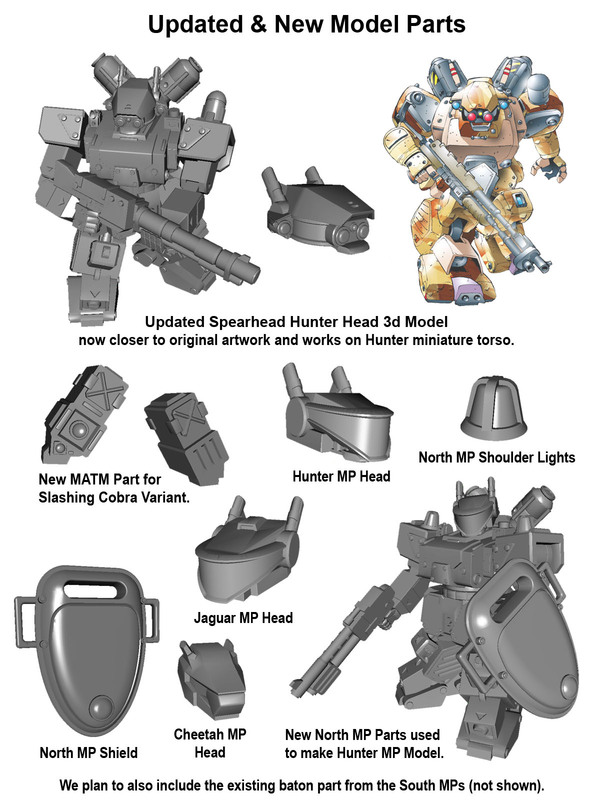 Plus a new MATM part has been designed for the ﻿Slashing Cobra variant and new Northern MP parts created. Checkout the image below to see how they look. 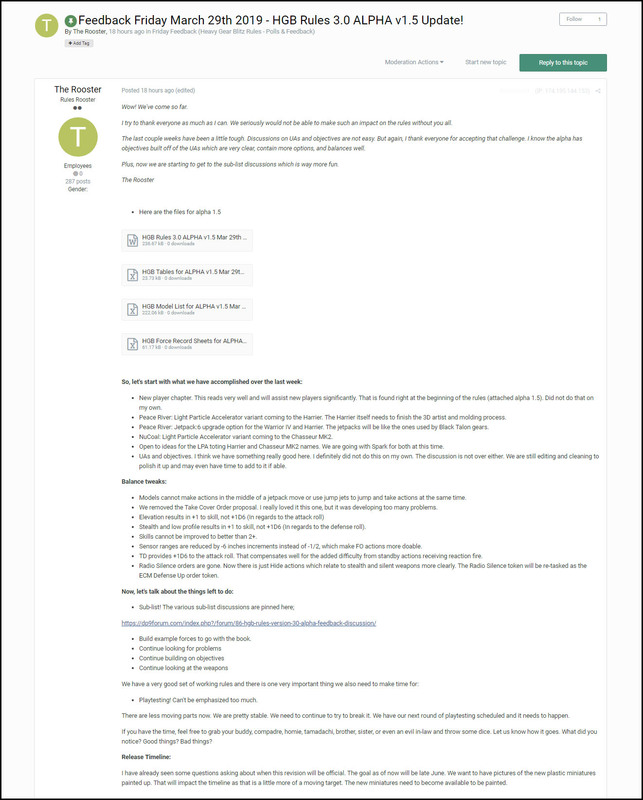 Home › Blogs › Robert Dubois's blog › Feedback Friday March 29th 2019 - HGB Rules 3.0 ALPHA v1.5 Update!